If a spouse wishes to file a divorce, the first step will be the filing of the petition in a proper court of law. Simple divorce petitions generally state that the spouses have irreconcilable differences, and thus the wording does not blame one party or the other. However, in highly contested divorces, attorneys will strategically write the petition for divorce to include particular reasons why the divorce has been filed. Sometimes, the other spouse will want to fight or contest those listed reasons. Similarly, a spouse may also wish to contest the relief ultimately sought in the divorce. In combative divorce situations, the reasons for filing a divorce will often be listed in such a way as to blame the other spouse, in hopes ultimately of acquiring some sort of benefit in the final division of life that occurs with any divorce. If the petition is false or misleading, then the opposing spouse may contest the petition's stated grounds for divorce by filing her own document. The document will state the defenses to the wrongful allegations listed in the original petition. Essentially, the person that did not file the divorce originally will get her chance to state her position regarding the divorce. Consider this example: a wife has filed a divorce, seeking the majority of life savings her husband scraped together through the years. Her basis for the divorce in her petition alleges that her husband cheated on her. It is true. The husband cheated, but not until his wife told him she had been in a seven-year affair, and sincerely consented to his seeing other women. If the husband proves this defense in court, it acts to negate any advantage to the wife that the original claim of infidelity would otherwise have gained. In the face of a petition for divorce that a spouse disagrees with and wishes to contest, there are numerous types of defenses for any given scenario. If one spouse alleges abuse as a grounds for divorce, the other can defend the charge by stating that the abuse was provoked. This is the affirmative defense of provocation. Another defense is called recrimination, where one spouse alleges infidelity and the other in turn alleges the same behavior against the filing spouse. In addition to advancing an affirmative defense, a receiving spouse may file a counter-petition citing his own reasons for a divorce. Affirmative defenses are not necessary in order to disagree with the relief a petition seeks. If the wife is seeking more than half of the assets, the husband may disagree with her goal for the division of property without disagreeing with her basis for filing the divorce. If the husband cheated on his wife and the wife stated as much in the petition, her husband does not need a defense to the cheating matter in order to fight the division of property. In divorce cases, as in other pursuits, time is money. Contesting any matter in a divorce inevitably takes some time, which will result in additional legal fees. If spouses disagree on the grounds stated for divorce or perhaps only disagree on the relief sought, then someone must compromise. If a compromise is not reached, a trial must occur. Due to lack of funds, time or motivation, spouses may find some middle ground to settle the divorce, even in the face of a highly contested proceeding. Probate is the legal proceeding used to validate a will and give legal authority to the executor, the person overseeing the estate and transfers to heirs. A will being offered for probate in Arizona may be contested, or challenged, by a person with an interest in the estate, such as a child of the deceased person. Your spouse’s adulterous relationship may bring an end to your marriage, but it is not always a significant factor in the legal process of divorce. Though many states recognize adultery as grounds for divorce, state laws vary, and when it comes to alimony, your spouse’s adultery may or may not be significant to the divorce court. Can the Opposing Party File for Decree of Divorce? How Many Days Does a Respondent Have in a Divorce in New York State? 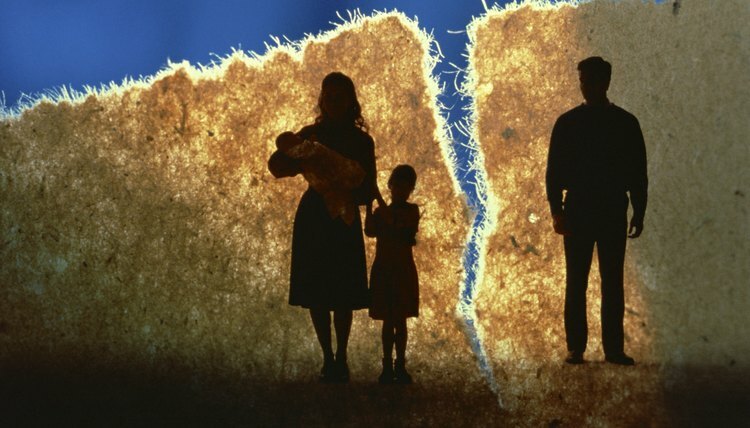 Can Only One Party File in a No-Fault Divorce? Do I Have to File an Answer to a Complaint in a Divorce in Pennsylvania?